So far, we have had one major Bitcoin conference this year, and the event proved to be an astounding success. Over a thousand people showed up, panelists discussed issues including financial privacy, alternate cryptocurrencies and even floating cities. Following that success, over the past few weeks a number of other Bitcoin-related events have also announced themselves. You may have already heard of some of the larger ones, but many of these events have been carely noticed by the Bitcoin community. Porcfest – Porcfest is not, strictly speaking, a Bitcoin-centric event; it is the main annual gathering of the New Hampshire-based Free State Project, and perhaps the largest libertarian political event in the United States. However, in 2012 Bitcoin all but consumed Porcfest, with 80% of merchants at the event accepting it. This year, Bitcoin will make an even stronger appearance, with three hour-long panel discussions dedicated to it. The event will take place near Lancaster, NH, from June 17-23. 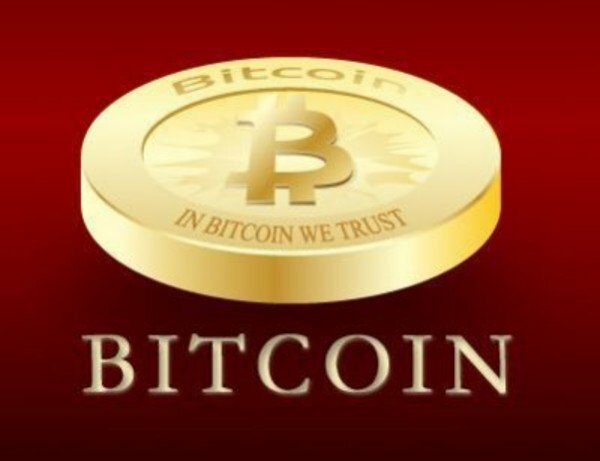 Bitcoin London – Bitcoin London will be an intivation-only event focusing on entrepreneurs, investors and hedge fund professionals. You can apply for invitations here, although it is expensive – the price will be 250 GDP ($380) for early-bird tickets and 600 GBP ($760) for everyone else. The event will take place in London on July 2. Inside Bitcoins Conference – MediaBistro’s Inside Bitcoins conference in London will be a largely business-focused event, including speakers such as First Round Capital partner Phineas Barnes, Foodler founder Christian Dumontet, BitPay’s Tony Gallippi and many other business owners and investors. It is notable that most of the speakers will be individuals from outside the Bitcoin community who are interested in Bitcoin, and so this event will be a great opportunity for much-needed outreach and interaction. The conference will take place in New York City on July 30. 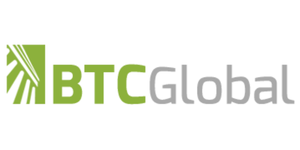 Bitcoin Convention Europe 2013 – as cordination consultant Matthew N Wright describes it, “This convention is an open, community driven effort with fund-raising aided by 000 Media. Rather than opt for a politically charged display of wealth, we’re here to get back to the basics of what bitcoin really is– a community, decentralized effort. No foundations or agenda driven donors at this convention, just real people who really want the project to succeed.” The speakers’ list is currently still small, although it appears focused on Bitcoin entrepreneurs who are not as immersed the mainstream tech and business scene as the attendees of the Inside Bitcoins conference. The convention will take place in Amsterdam on September 27-29. Crypto-Currency Conference – this conference will be more focused on philosophical issues than the others, with speakers like Laissez Faire Books’ Jeffrey Tucker, libertarian legal theorist Stephan Kinsella and the Mises Institute’s Doug French, as well as the Bitcoin economist Peter Surda, Adam Levine and BitPay’s Tony Gallippi. The conference will take place on October 5 in Atlanta. unSYSTEM – this conference, organized by Amir Taaki, will be the other major conference of this year. Although originally intended to be a Bitcoin conference, the conference’s range of topics has been expanded to radical activism and social reform in general – hence the name, “unSYSTEM”. Of course, Bitcoin nevertheless remains a central, unifying theme. Speakers include Occupy London, Juice Rap News, Max Keiser, Defense Distributed‘s Cody Wilson, Berlin Bitcoin community organizer and restaurant owner Joerg Platzer and many more technological, artistic and political activists. The conference will taken place in Vienna on November 1-3. The different themes of the various conferences shows an interesting pattern in the development of the Bitcoin community. Bitcoin advocates have always been split into camps, which can simply be named the idealistic and the pragmatic. Idealists include anti-banking activists, radical libertarians (of both the anti-capitalist and pro-capitalist variety), factions of Occupy Wall Street and others who are in some way dissatisfied with the current “system” in general. Pragmatists are those who seek to present Bitcoin in a business-friendly package, focusing on more universally appealing aspects like low transaction fees and near-instant transactions. Since the 2013 Bitcoin conference, the pragmatist wing has become much more powerful, as its outreach efforts have now managed to attract tens of millions of dollars of investment, and among some there is a sentiment that the idealist wing is being left behind; some are concerned that Bitcoin is “sacrificing its soul to survive”. However, the aspects of Bitcoin that make it palatable to idealists remain stronger than ever, and Porcfest and unSYSTEM represent great chances for the idealist factions to reclaim their lost importance. Also importantly, this shows how the Bitcoin community is deliberately broadening its reach to beyond just the United States. For all the recent worry about FINCEN, a very large part of the Bitcoin community remains outside the United States, and conferences in various locations in Europe do a great deal to accomodate that. Even inside the United States, the conferences in New York and Atlanta appeal to local entrepreneurs and people in general who do not yet care enough about Bitcoin to have flown across the country to the conference in San Jose. And Bitcoin travellers now have one major event to go to for almost every month in the rest of this year (only August and December currently lack any event).